Canadian Endeavour Silver (TSX:EDR) (NYSE:EXK) posted Tuesday better than expected production from its three Mexican silver mines. 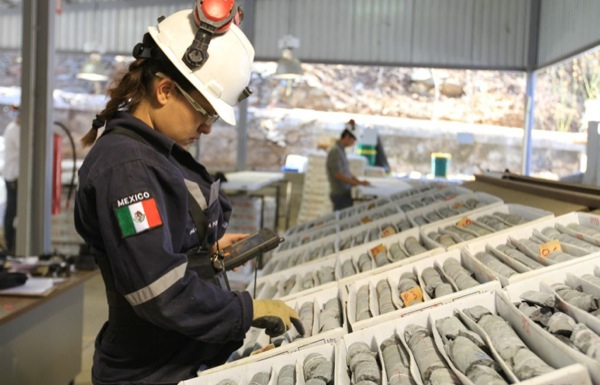 Guanacevi, Bolañitos and El Cubo mines generated 7.2 million ounces of silver, or about the same than the previous year, while gold output in 2015 reached 60,000 ounces, down 4% from 2014, the Vancouver-based company said. Chief executive and director Bradford Cooke said the mining operations group should be commended for delivering what he called a “solid" production year amid tough market conditions. Guanaceví continued to perform better than plan and the completion of the Phase 2 mine expansion from 1,500 tpd to 2,200 tpd at El Cubo was a significant achievement, offsetting the planned lower production from Bolañitos. "As precious metal prices continued their downturn in 2015, our main focus was on maintaining constant production, reducing operating costs and maximizing free cash flow,” Cooke said. Despite the positive results, shares in Endeavour Silver were plummeting on Tuesday around noon — 8.8% down in Toronto and 10.4% in New York.